Grattan Street Press is delighted to invite you to the launch of the latest titles in its Colonial Australian Popular Fiction series, to be launched by Maggie MacKellar. Edited by Professor Ken Gelder and Dr Rachael Weaver from the Australian Centre, this series aims to republish works of Australian popular fiction from the colonial period that can still resonate with readers today. An Australian Girl in London, first published in 1902, is an endearing look at the journey of self-discovery that many young women of means made to the heart of Empire around the time of Federation. Its author, Louise Mack, a friend and rival of Ethel Turner, captures the experience of a provincial young woman immersing herself in the epic metropolis of London – its hard urban edges, and the challenges it poses for colonial talent, but also its rich history and culture. An introduction to the novel is by Sarah Pope, a PhD candidate from UNSW. An Australian Bush Track (1896) is an altogether darker novel, a colonial fantasy-adventure by the author JD Hennessey in the style of H Rider Haggard’s She. The story of an expedition into the Queensland interior by a group of speculators hot on the trail of fabulous wealth, its heroine is a charismatic young bushwoman equipped with heedless courage, a fast horse and a rifle. The novel is unrepressed in its representation of colonial racism and the driving forces behind it: frontier violence and dispossession, land acquisition and the relentless pursuit of wealth and resources. An introduction to the novel is by Ken Gelder and Rachael Weaver. This event is supported by the Australian Centre and Publishing and Communications, School of Culture and Communication. 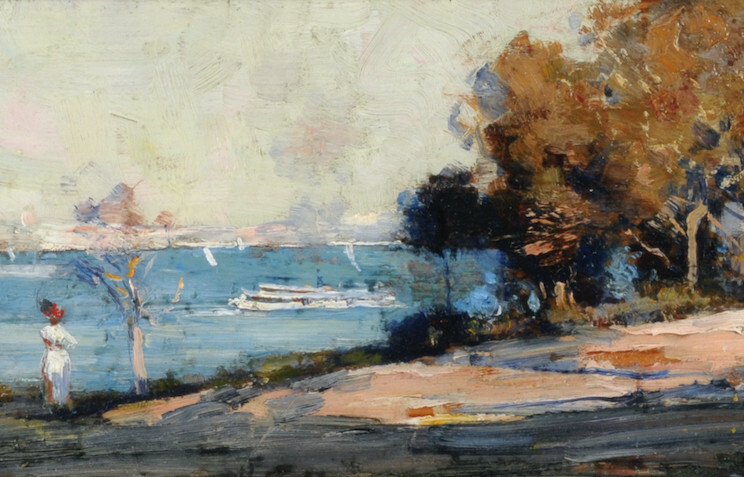 Image: Arthur Streeton, Cremorne, 1895, (detail). New England Regional Arts Museum (NERAM). Maggie MacKellar is a historian of colonial women's experience (*Core of My Heart, My Country*, 2004; *Strangers in a Foreign Land*, 2008), but many readers also know her as a highly regarded memoirist (*When It Rains*, 2011; *How to Get There*, 2014). Her work in progress includes a novel about the author Miles Franklin and her fictional counterpart, Sybylla Melvyn. Maggie's personal writing has been shortlisted by The Age Book of the Year Award and the Queensland Premier’s Literary award, and anthologised in Best Australian Essays (2016). 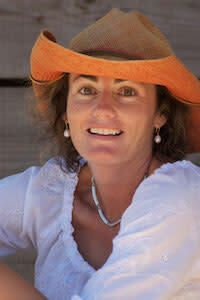 She is a past winner of the Australian Centre’s Peter Blazey Fellowship (2009).